Boilermakers Lodge 146 held it’s Seniors Golf Tournament 0n August 2nd. Everyone had a great time at the Cougar Creek Golf Course again this year. It came down to a putt off, with Al Vanslyke beating out Kevin McHale to take the victory! 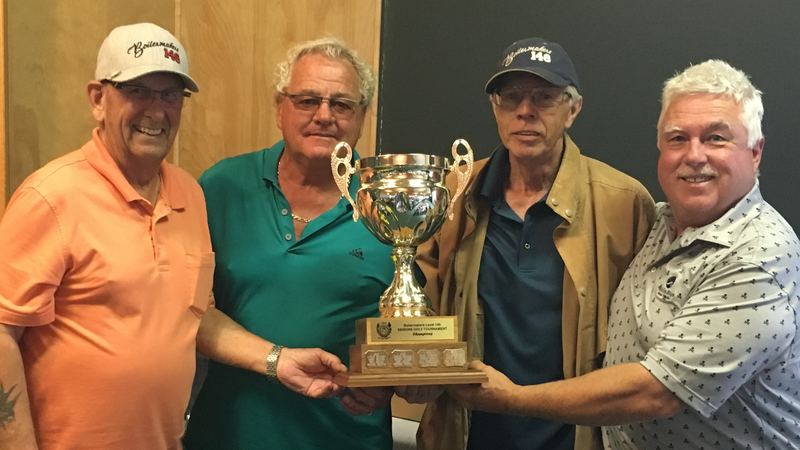 Pictured to the left is the winning team (L-R) Chuck Vath, Al Vanslyke, Dennis Turk and James Johnson. We look forward now to our Calgary tournament on Saturday August 18th. View the event calendar for more details.